A NEW EXERCISE FOR TENNIS ELBOW THAT WORKS! Durable, high-quality treatment for Tennis Elbow or Golfer's Elbow has been research-proven to eliminate pain and provide an effective, non-surgical option to increasing your strength and endurance. It works to improve upper extremities and decrease pain through bending, twisting or oscillating. While Vladimir Janda was the first to recognize Upper Crossed Syndrome (UCS)and Lower Crossed Syndrome (LCS), few studies have validated the specific pattern of muscle imbalance and postural abnormalities associated with these common muscle imbalance syndromes. Sports massage can be used to improve athletic performance, speed recovery, and can be utilized by all individuals who participate in any athletic and/or exercise program to help improve conditioning and maintain peak performance. Many professional and collegiate athletic programs employ or contract with massage therapists. This pattern of imbalance creates joint dysfunction, particularly at the L4-L5 and L5-S1 segments, SI joint, and hip joint. Just How Bad Is Sitting for Your Health? New research is helping medical experts devise formulas for how long a typical office worker should spend sitting and standing. Studies have found that sedentary behavior, including sitting for extended periods, increases the risk for developing dozens of chronic conditions, from cancer and diabetes to cardiovascular disease and nonalcoholic fatty liver disease. Some ergonomics experts warn that too much standing also can have negative effects on health, including a greater risk for varicose veins, back and foot problems, and carotid artery disease. Researchers found that people who were told to sit up straight were more likely to believe thoughts they wrote down while in that posture concerning whether they were qualified for a job. On the other hand, those who were slumped over their desks were less likely to accept these written-down feelings about their own qualifications. "How the students rated themselves as future professionals depended on which posture they held as they wrote the positive or negative traits. Students who held the upright, confident posture were much more likely to rate themselves in line with the positive or negative traits they wrote down." Physical inactivity is now identified as the fourth leading risk factor for global mortality. Physical inactivity levels are rising in many countries with major implications for the prevalence of noncommunicable diseases (NCDs) and the general health of the population worldwide. The focus of the Global recommendations on physical activity for health is primary prevention of NCDs through physical activity at population level, and the primary target audience for these recommendations are policy-makers at national level. A 30-minute massage significantly improved the recovery rate for male bodybuilders engaged in an exercise routine designed to induce delayed onset muscle soreness (DOMS), according to recent research. The effect of rest days on injury rates. University woodwind students' experiences with playing-related injuries and their management: a pilot study. 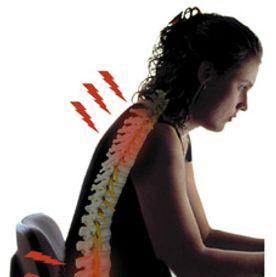 Playing-related musculoskeletal disorders in music students-associated musculoskeletal signs. The Effects of Slackline Balance Training on Postural Control in Older Adults. Dynamic Postural Control in Female Athletes and Non-Athletes following a Whole-Body Fatigue Protocol.